First let's talk about virus blues or in other words let me whine a little about how miserable I have feeling lately . Started with a cold and sore throat and progressed to chills and tension headaches. Yes, not a pretty picture..still suffering the ill effects so thought of fighting it off with some baking therapy. Nothing like the sight of batter sticking to the whisk to cheer oneself and fight those virus blues away ...right ??? Not to mention cleaning the above mentioned batter from the whisk ...what a comforting chore that is .Try it out and if it appeals to you , you are more than welcome to help me with it ! Time to talk about the bake now . 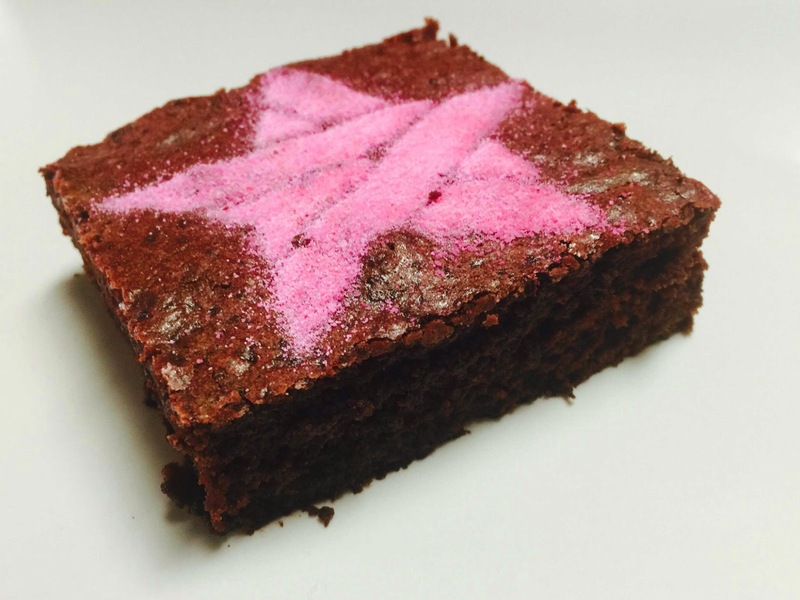 Beetroot brownies ..why ? because they were present right there on the kitchen counter and I had been planning to bake some beetroot chocolatty thing for quite some time now . If I have to give in in to any sort of guilt for eating chocolate ..might at the least soften it by adding something healthy with loads of nutritional value . Some of them being that beetroots are rich in folate and a good source of magnesium . What's even better ? A new study claims that they also help in lowering blood pressure . To a pan , add the roughly chopped beetroots and some water. Cook it on medium flame for 7-8 minutes till tender. 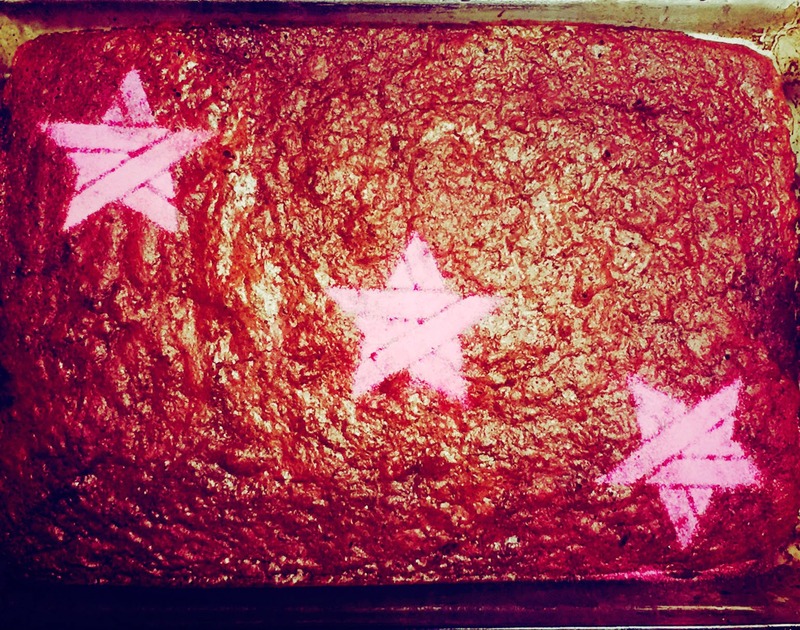 While the beetroot is being cooked, preheat the oven to 350 degrees F or 180 degrees C . Additionally also grease a rectangular pyrex dish for baking the brownies. Drain off the cooked beetroot and transfer it to a food processor or blender along with the chocolate , butter and vanilla. Blend it to get a smooth mixture. Cream the sugar and eggs with the help of a hand mixer till it is foamy . The whole process should take about 2 minutes. Now with the help of a spatula , add the blended beetroot mixture and with the help of a spatula or wooden spoon , gently fold it in. ( Do not use the hand mixer now). Follow this by gently folding in the sieved flour and cocoa powder . Try to fold gently as to not deflate the batter. Transfer to the baking sheet and after giving it a gentle tap keep it to bake for 20 -25 minutes. Take care as to not over bake the brownies. Cool on a wire rack and decorate with stencil and powdered sugar as desired !